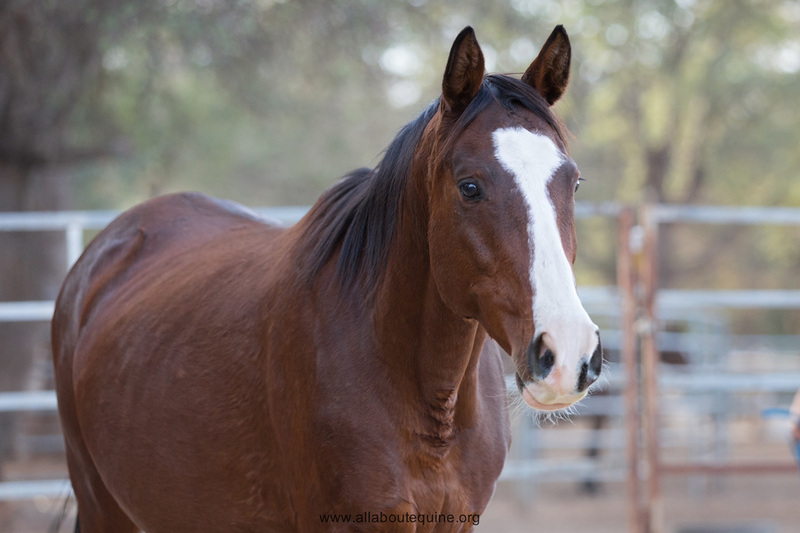 This sweet mare was part of a collaborative 50+ auction rescue. 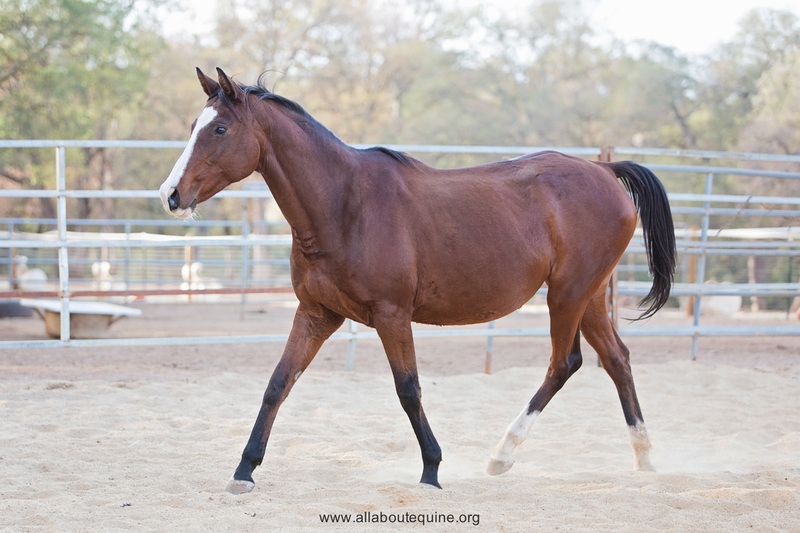 She was said to have been a small child's horse, only to be dumped at auction as if she didn't matter. 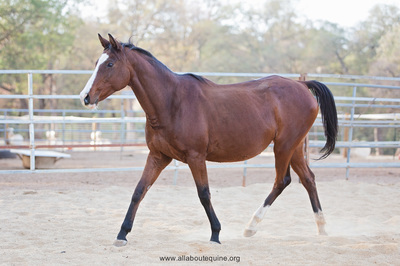 She was emaciated upon intake and had an infected laceration on a front leg.. Her hooves and teeth had been neglected as well. 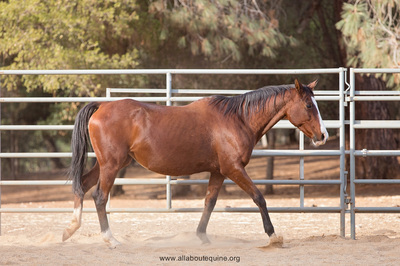 However, after a few months of good nutrition and healthcare, Jolene has recovered nicely. Her laceration has healed, and radiographs of a scarred left knee were unremarkable. She has good range of motion. 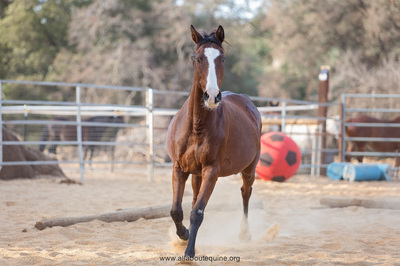 Jolene was ridden at the rescue to test her abilities. She was willing but didn't appear to know much. 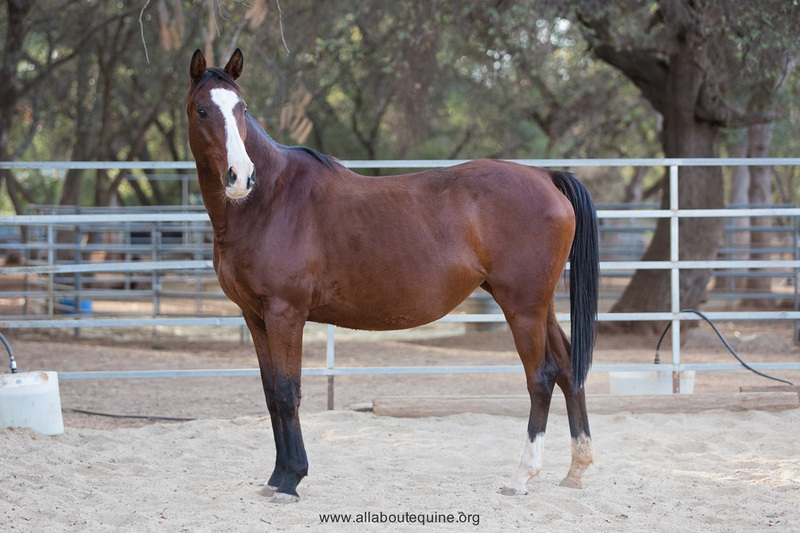 Subsequently, she was adopted by a retired gentleman, who put her in training. 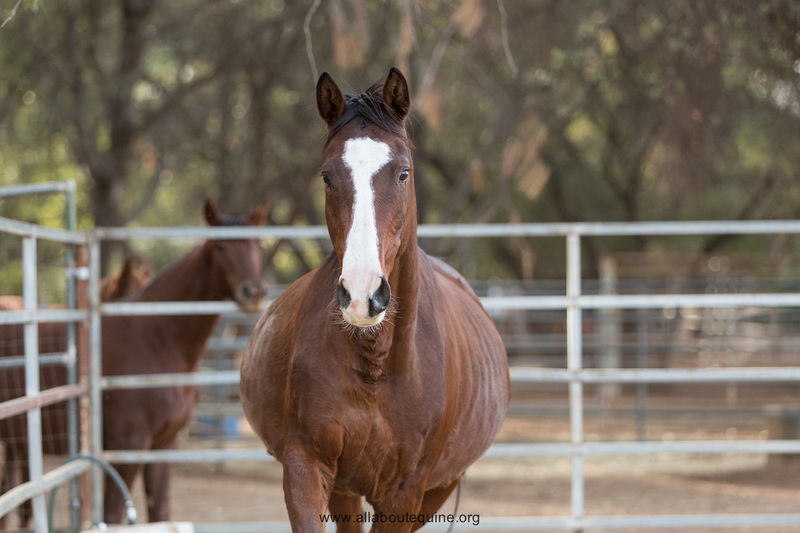 However, within several weeks, he returned her as being too reactive for him. 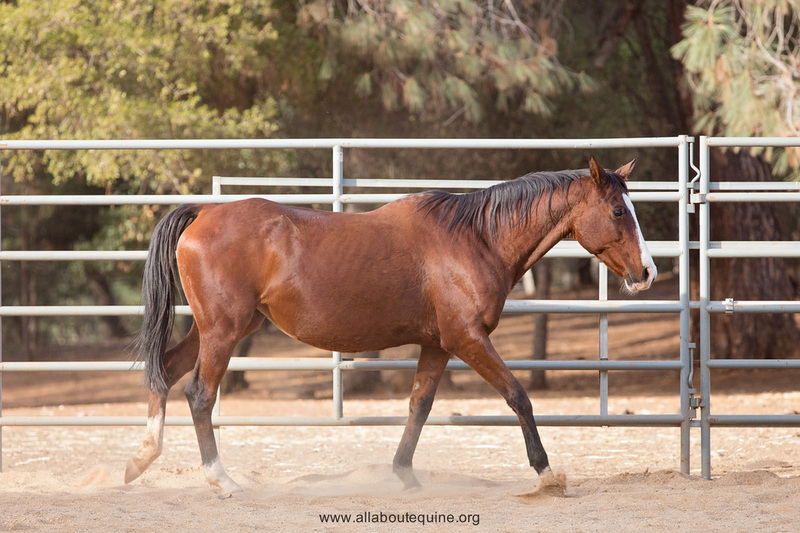 Since we typically find that mature horses can take much longer to train (or retrain) to be riding horses, we suspect that Jolene did not do well with the pressure of the training program. Therefore, we feel Jolene should be adopted out as a project or companion horse only, not a riding horse. 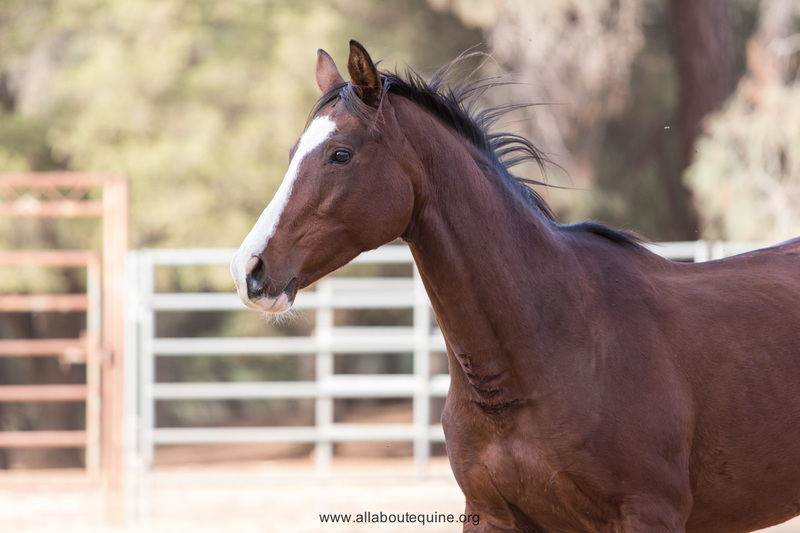 She is the type of horse that will benefit from a calm, patient handler with no deadlines in mind for learning/training. 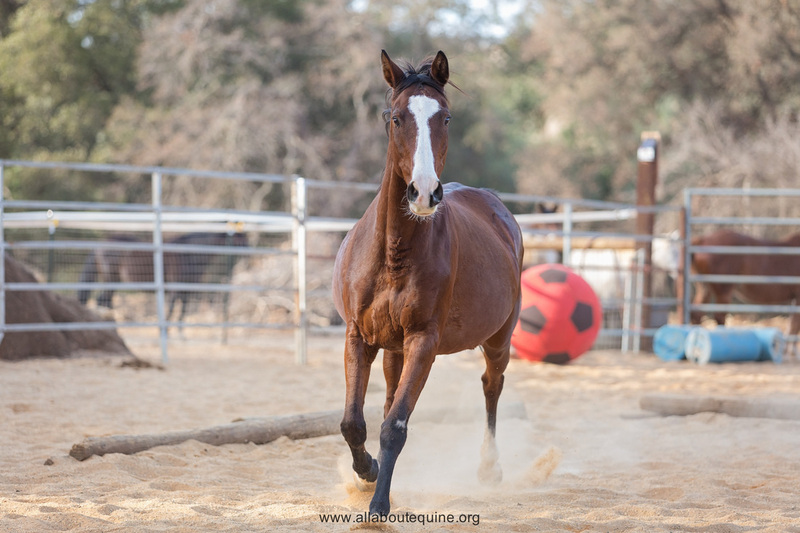 Jolene has a motherly, protective personality with young horses and bonds tightly with her herdmates, displaying anxious behavior when separated. 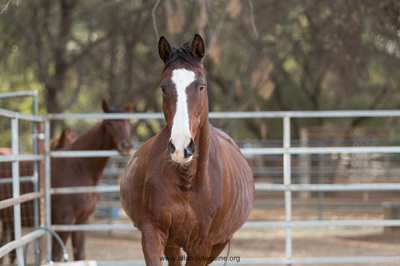 She can be possessive over her food, so would need to be fed any supplemental feed away from others. Visit her Facebook album for more photos.